The Francke Foundations in Halle are a unique historical ensemble of social and educational architecture from the early modern period. Founded by the pastor, theologian and educationalist August Hermann Francke (1663–1727), the extraordinary project of his school town began in 1698 when work started on the orphanage. The historic orphanage, still the hub of the Foundations today, is now home to a children’s creative center, two cabinet exhibitions, as well as a conference floor and other exhibition spaces. The Cabinet of Artefacts and Natural History on the attic floor is the only complete surviving Wunderkammer (Cabinet of Wonders) from the Baroque period founded by a religious and civil society initiative and still on show at the original location and in the original Baroque display cupboards. Moreover, it ranks as one of the oldest museums in Germany open to the public. The Foundations offer numerous other sights including the Historic Library in Germany’s oldest free-standing library building. Since the design with Baroque bookcases on either side of a central aisle recalls the perspective of sliding scenery or backdrops in a Baroque theatre, this was known as a Kulissenbibliothek (literally, a ‘scenery library’). Visitors can also enjoy a tour of Francke’s home, as well as tours of the schools and other functional buildings in the historic school town, now painstakingly restored and again housing a series of scholarly, educational and cultural organizations and institutions. 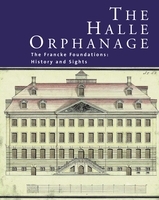 This catalog with its wealth of illustrations will appeal to all those interested in the Francke Foundations, and is especially suitable for providing a deeper insight into this historic school town.